It is about time, the Kvec rebels finally slipped up! After weeks of patrolling roads all across Chackle and finding nothing, a possibly important rebel has been captured. The man, codenamed FALCON, has been a commonly occurring individual hidden along the sidelines in almost all Kvec related propaganda, been caught on camera numerous times in battles, and commonly seen along side of the rebel leader Francis Ofera. His location was tipped off by a unnamed individual at the Kirov Airport in the small city of Kirov. He was trying to quietly get out of the country with a blonde woman on a course to Kitt for unknown reasons. After airport security was contacted and put a lock down on the airport a squad of Rangers were sent over by helicopter to take down and capture FALCON. He will be sent to a secured and hidden location in the southern mountains of Hassany for questioning. After flying to northern Chackle for about a week the king has announced that he is back in Fyresk and is ready to tell the country and the world about the current status of the war. He stated that the country would be advancing into the facist territory and would force the rebels to surrender. Many of his advisors have agreed that this is one of the only ways to get rid of them without killing a mass amount of people. King Tryion later announced that he would deploy nearly 800k men around the rebel borders and would march in their lands within a couple of days once resources arrive and the country is ready to attack. King Tryion also announced that after the civil war he would thank the ones who helped during the war with gifts of high value and also promised that there would be a 50% increase in police and secret service forces to prevent any type of revolt next time. After discussions within the military council assigned to Chackle, it was decided that the situation with seperatist and rebel groups in the nation has simmered down to a milder level that Chackle's still recovering military can handle themselves. It has been ordered that all troops will slowly return home within the next two months. Only three areas of the country will maintain a Hassanyian military force; Caledonia, the Kesvic Dam, and the city of Fyresk (although the amount of personnel and equipment will be slashed down to half). Most men are ecstatic to return home, while a few stubborn some say, "their is still work left to do." The Kaisergarde plans on discussing with the Chacklean King about a possible work & lease program for those who wish to stay and fight in and for the Chacklean army. In the capital of The Democratic Union of Handenosaunee, the members of The National Assembly gathered to discuss the recently signed deal between the government of The Orthodox Empire of Chackle and Batria Corp. The deal essentially, according to state-media will destroy 50% of Chackle's most northern forest in order mine the Uranium and other valuable resources. In order to clear the large and expansive territory, the government of The Orthodox Empire of Chackle and Batria Corp came to the final decision that incinerating the forest would be the best decision to save 45 billion Chacklean dollars. In final, the project will reportedly cost 15 billion dollars in total. Members of The Assembly, I am present here today to discuss the deal that undoubtedly will have a negative effect on the environment & the eco-system of Chackle. Some may say that we, should not get involved in the affairs of Chackle but we must speak up against this clear violation of the environment. I have spoken with my colleagues in the Ministry of Science, & they have explained to me the consequences of incinerating 50% of the northern forest will be unbelievable. They explained that Chackle will be taking away the ecosystems that help us to restabilize the climate. They gave an explanation that like oceans, forest absorbs carbon from our atmosphere. Essentially decades & decades of forest breathing in the carbon, storing it in the trunks, in the leaves & organic matter. They described that those carbon emissions are being held safe for us until we clear them & lite them of fire. It acts essentially like a carbon bomb & releases massive carbon emissions back into the atmosphere. Not only will it release a high amount of carbon but it will also have a large negative effect on the biodiversity. We must stand united against this horrible & appalling deal. After the comments given by the Minister of The Environment & Climate Change, The National Assembly voted unanimously in favor of condemning The Orthodox Empire of Chackle. After the voting process, Prime Minister William Greyowl state if Chackle does not change their ways that it will have an incredibly negative and critical effect on the world climate. Later today the government of Handenosaunee announced that they condemned Chackle and Batria for signing a economy stunning deal. 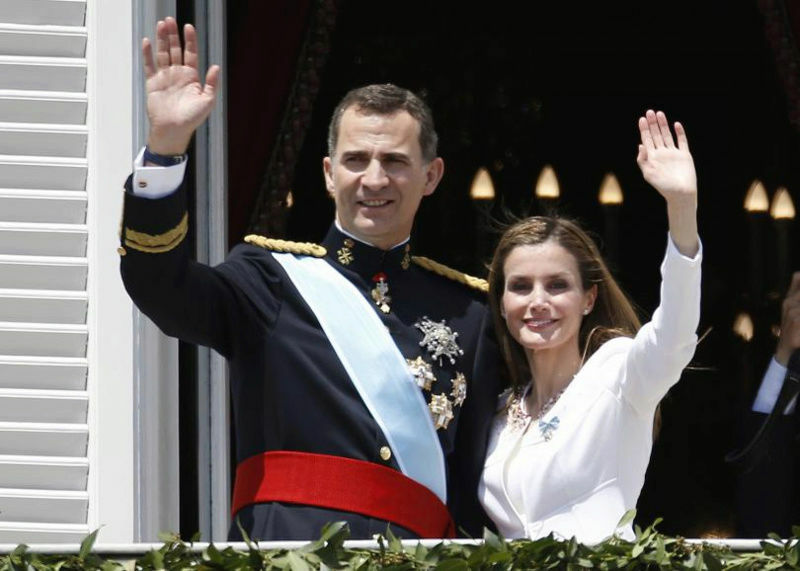 King Tryion stated that he would not change the current project plans for the sake of the environment stating that there is lots of trees and killing a few million of them wouldn't hurt the enviroment at all, he also stated that the country has many large national parks and many clean water ways and many clean cities. Chackle has announced that with the current place of the country economically and politically it has no worries of the project stopping. King Tryion also stated that with the new project it could bring many jobs to Chackleans and that he has no plan of stopping that for a little nation that has no chance against the empire. Chackle defeats communist rebels, and fascist rebels are next to nothing in power. With 2 large and scary civil wars sprining up a couple of months ago the Chacklean government and its allies took down the Communist rebels and has plans to take out the fascist rebels just as fast. King Tryion has stated that the military would be gaining a extra 15% in funding to fix its broken equipment and to construct new vehicles as well. Later that day he was seen talking with his two closes military advisers and many think it could be a possible plan to attack large population centers of the fascist regime. King Tryion has seen a large amount of approval by the Chacklean people seeing a almost perfect 89.6% approval rating by the Chacklean people. Chackle will see a new future, and a bright one. Zach Wolfman Special Guest Star Kaisergarde Charlie! Zach Wolfman: ARWHOOOOOOOOO! It's me! Zach Wooolfman, your ruler and master! Radio Host of The Wolf Pack Radio! Bowowow. We are here to talk about everyone's least favorite topic, politics! Today we have a very special guest star live with us on the airwaves, now international thanks to him, the King of queens, the master of faster, and the punk of funk, KAISERGARDE CHARLES! Kaisergarde Charles: Hahaha please just call me Chuck. ZW: No problem your highny. Now have you heard the news? About that little fight between Handenowhatsy and Chackle? KC: They are acting like a bunch of babys! I was getting done with my workout in a gym in town and I overheard on international news about this whole issue. Apparently Chackle wants to cut down their own trees for uranium? Don't they have enough? They own maybe a couple thousand war heads why more? ZW: Well now Chuck, it sounds like your siding with the tree huggers. KC: No their just as bad if not worst! For a government who say they have some of the best civil rights and political freedoms in the region, their awful control freaks. I'm pointing at there state owned media. ZW: Now Chuck, it all can't be that bad. I knew a Chackle woman once. I'm going to leave it at that. They both had good points though, one wants to keep Mother Nature healthy for the wildlife like me to live. The other has the right to do whatever it damn well pleases. But George of the Jungle and little Tryion are acting like a bunch of brats. I'll just run off of Handenowhatsy's logic. Hey yo Apep people! I want you to dedicate a holiday to me, your master and ruler Zach Wolfmaaan, where you howl at the moon at night! ARWHOOOO!! BOWOWOWOW! KC: Jeez Zach that talk is definitely going to get you shot. ZW: Not unless I shoot them first, I'm a wild animal dog! KC:I just don't like the bug heads butting at one another. There both great people and I love them! It's just to bad they can't agree on ANYTHING. They should mind there own damn business. ZW: So what will you do about it for now Chucky-Boo? KC: Nothing really, I'm just letting you, them, and the average Joe know that these grown men need to act like men not baby's. KC: Sounds funny Zach, your kid should be a cartoonist someday. Sorry but I have to go now, this is going pretty long. ZW: No problem dog! Just one question quick. WHY DID YOU CHANGE THE NATIONAL ANIMAL FROM THE WOLF TO A BEAR? KC: Jeez man it wasn't up to me! There was a vote and people wanted a bear. Next time I'll propose making you our national animal. ZW: I AM A ANIMAL! ARWHOOOOO! Allright everyone I'm glad to have you on the show Chuck, it was a pleasure. I'm signing off the air. One last message from the alpha wolf man himself to Chackle and I give up on your name. GROW UP YOU BABYS! Chilling off, right off the coast of Handenosaunee. Months after a swift military interdiction, a sizeable combined fleet from the Rommandan Imperial Navy still remains off the shore of Handenosaunee, current orders or purpose: none at all it would appear. 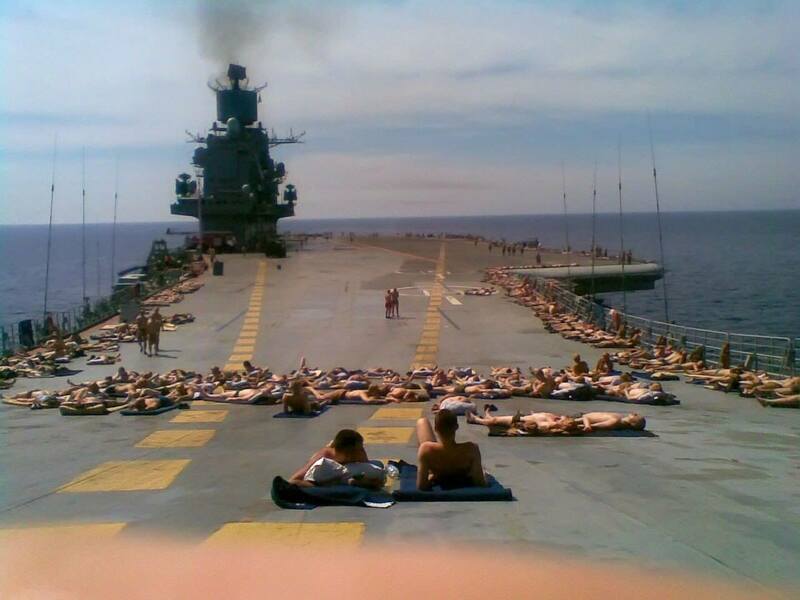 “They’ve apparently forgotten about this deployment, apparently they have so many ships now that they easily forget where they left a few dozens of them… So we just stored the planes below deck, pulled out a grill, the booze and have been enjoying the sun and sea for the last few days”. “We cannot disclose what concessions was the Imperial Chancellery given for this intervention, it is not our business to know, by extension, we cannot say if we remain here to survey such concessions or simply because of a bureaucratic oversight… In any case, we hope the Chief of Staff has us re-supplied soon, we are good on fuel, spares and ammunition, but the men are running out of beer”. *This probably would do more good as a recruitment tool than promises of glory and adventure. Good evening, Global Federation. Allow me first to apologize for this interruption. I do, like many of you, appreciate the comforts of every day routine- the security of the familiar, the tranquility of repetition. I enjoy them as much as any bloke. But let me add a little excitement, a little explanation to some current events. Words offer the means to meaning, and for those who will listen, the enunciation of truth. And the truth is, there is something terribly wrong with this Region, isn't there? Cruelty and injustice, intolerance and oppression. And where once you had the freedom to object, to think and speak as you saw fit, you now have censors and systems of surveillance coercing your conformity and soliciting your submission. Every country in this region has sinned to their citizens. Some more than others but will all be punished eventually. That's why I took action today. I claim responsibility for the assassination of King Tyrion of Chackle. The media may say he is alive but oooh no. He is as dead as the promises your leaders give to you. The man who pulled the trigger is a national hero to his people and deserves commemoration. And to show you that he will be commemorated I have illegally hijacked all the state ran news media of Handenosaunne. The Handen people have been living under the lies of the state ran media for to long. So I will liberate you from it all by airing some proper educational programming instead of their green lies and broken promises of unity. 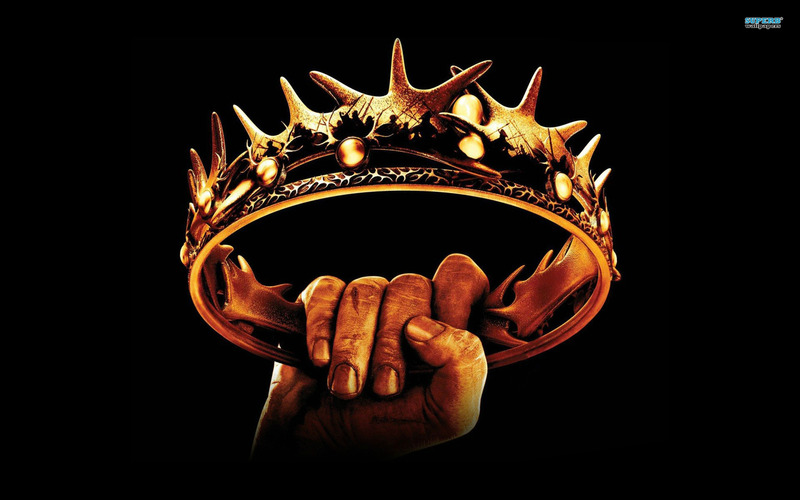 I will hail this national hero who killed Tyrion and usher forward a new season of revolution and change across the region! Destroying each nation one by one. I have Revealed myself to you! Now Reveal what you want to me! Chackle responds to the unknown hacker. "With my father in the hospital bed this morning I seen it in his eyes he wouldn't survive... I knew that it was only a matter of time before he was... Gone. But this hacker exposing it like that is plain horrible. I was going to announce his death the next morning, but you've ruined that. May we mourn his death... And hope for the best of the country under my leadership." stated Cormac Tryion, son of Kane Tryion. With the king gone what will we do? What will the country be without one of the best leaders in the world? The one who held Chackle together? And the one who had finally brought peace between Chackle and Apepistan. With out such a role model and inspiration to the Chacklean people What Will We do! Marian Tryion Wife of King Tryion stated this "With out my dear Kane I am uncertain on what to do... We had a good 43 years of marriage, we both wanted to die together and that is not what happened. I am 92 years old and he was 89... I just wanted him to live another 11 years atleast. Such a great man who had brought up my child, Comarc, we had such... a connection. May he live in heaven. Commanding forces in Chackle have been commanded to get troops "the hell out of Dodge" and back home to Hassany. Only a fifth of ground forces are to stay in Caledonia while the remainder are to move to New Valendia and back home to Hassany. Rudis Mk II Attack Chopper- created to be more armored and weaponized while still becoming 10 Mph faster than the original. Cost for production will see a limited amount produced though until cheaper alternatives are found. The K-20 "Renegade"- meant to carry 8 missiles and hundreds of 40 mm rounds of ammunition. Can travel at Mach 3 speeds. Customary Maverick aviator sunglasses along with each Renegade. Finally the Ajax Class Battleships- 9, 16 inch artillery battery's, A wide array of 40mm AA guns, a total of 32 Tomahawk land missiles, and 16 torpedo missiles. All machinery have been combat tested and ready for production and deployment. Resupply came as scheduled to the Rommandan vessels stationed off the coast of Handenosaunee, along with new orders. “Fifteen-percent of our forces are to where they are; fifty-percent will redeploy as whole fleet while the rest is to redeploy north and west-wards into thin but continuous lines across thousands of nautical miles. “Our vessels are armed as they come out of a confrontation with the Chacklean Navy, they have been properly resupplied and are at optimal condition. Not all deployments harboring hostile intent, negotiations are currently underway with the Government of Handenosaunee as well as with the Council of Indigenous People of the island nation for the creation of a scientific research station on the northern tip of the island. The scope of such station would range from medical (mainly dealing alternative forms of corrective therapy for depredatory and chronological syndromes) to biological studies taking into account the massive biodiversity in the region. While a final decision rests with the government and ruling council of Handenosaunee, all three of the Rommandan Scientific Directorate, Ministry of Culture and the High Chancery have expressed an optimistic view of the matter. In private discussion the Chacklean King Comrac Tryion and his head general have discussed a military deal that would both profit Hassany and Chackle. The two nations have agreed on a military deal that would make Chackle even stronger it the waters. The deal consist of 7 Hassanian aircraft carriers which would take about a total of 6 months to complete and are going to be one of the most advanced in the world. Chackle has also announced that it plans on expanding its navy even more next month. Chackle has stated that it will not be as feared in the waters any more with its naval expansion as it will protect the Chacklean people. Chackle's General has also announced that he and his tech crew have developped a new Chacklean aircraft that will be used in battle, the MN-CFC 87 is Chackle's latest fighter jet and it will be put into construction in 5 months after testing all goes well. Chackle has also announced that it would invest another 25 trillion dollars into upgrading its older military air craft to upgrade them or fix them. Comrac Tryion states "Handenosaunee is nothing more but dirt"
With Handenosaunee and Chacklean relations hitting all time lows every week it is hard to say if there will be a war or not. With a Chacklean naval and air force build up it is more then likely that the Chacklean military is being prepared for battle as war is an option, King Comrac Tryion stated that it is not afraid to declare war on the little island but it is worried about a possible nuclear war between Chackle and Rommanda as both nations are huge powerhouses. Although Chackle is worried it continues to train more troops, and add to its ever so growing military. After the Communist Rebels have been defeated, the Great Khanates of Apepistan and Apokraia have decided that it is time for the United Forces to pull out of Chackle, once again. However, the army is rather slow to pull out, as on their way back to the borders, they want to be 100% sure that all communist threat is eradicated - so the United Forces have begun a whole sweeping of the area, passing through rough terrain and civilian territory alike, destroying any remaining threat of communism. "My fellow warriors. Today it is my honor to announce to you, that once again, Justice has prevailed! We, together with our friends and brothers in arms, have defeated the Communist threat which is trying to undermine our Great Nation for almost a century now. We shall welcome the triumphant warrios here in Konzbator with a military parade, to honor the heroes who have fallen in this war, and the victory of Order over Evil. Thank you, and may Tengri guide our Great Khanates." Having recovered nearly 70% of lost capacity (between reactivation of reserves and commissioning of new aircraft) the RAF has now begun to fly combat air patrols across the northern skies. “Our long range aviation never lost any of its capacity really, but we had been relaying for carrier borne fighter jets from the Imperial Navy for support, and while we greatly admire the professionalism and devolution of our brothers in arms, the lack of autonomy on certain aspects was a shame to our service. A known study commissioned by the Joint Chief of Staff had previously highlighted the known fact that flying across the poles can pretty much bring half of the world “within striking distance”. Declared the general, avoiding addressing questions on a couple of near fatal crash landings last month on which apparently, the pilots were in too much of a hurry to touch down. Loxans are rising up against the unworthy pretender on the throne. Countless locations have fallen into the Grand Empress's control without ever having fired a shot. The Empress has arranged a meeting between her husband, Prince Tytos of the once great Apocryphi, and a representative of Apepistan, hoping to have the support of Xolox's long time ally in the final push to rid Xolox of all invaders and the puppets of the Pretender. The bold Empress has recently become very public in her appearances, refusing body guards. It is her philosophy that if an assassination attempt is made, it speaks volumes of her ineptitude. This is in stark contrast to her brother, who never takes two steps without a security detail and regularly has his opponents put to death. She expects the campaign to be over with very soon. 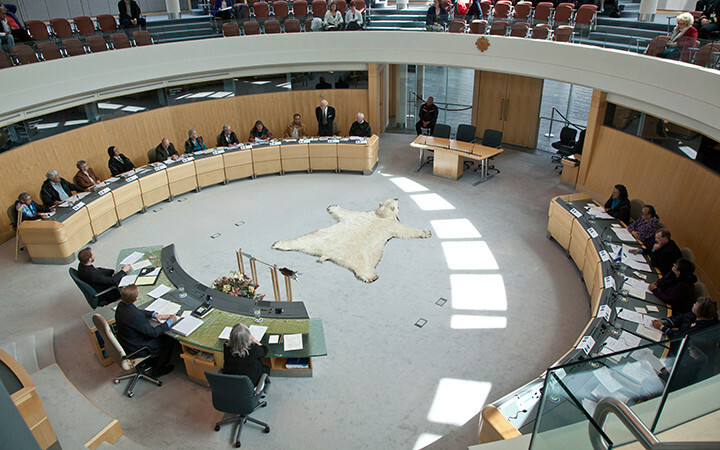 The Members of The National Assembly and Indigenous Representatives of The High Council of Indigenous Leaders voted unanimously on Saturday to allow and permit the construction of a proposed Rommandian scientific research facility. The research facility was officially proposed by The Holy Empire of Rommanda for several reasons. The capacity of such facility would range from medical to biological studies taking into account the massive biodiversity in the region. But, Prime Minister William Greyowl notified the Rommandian government that it should be a necessity to have transparent and well-built relations with the indigenous tribe on who's traditional territory the facility will be located on. In final, Prime Minister Greyowl stated that this deal will undoubtedly strengthen the diplomatic ties between Handenosaunee and Rommanda & also it will have a benefit to bilateral relations. The new Chacklean king is already making changes that his father would have never done. King Comrac Tryion stated that it is the countries, and the worlds responsibility to take care of the planet. With the king announcing that he cancelled the forest burning and it is to be put out immediately, the CEO of Batria stated "Although we don't completely agree with the King on stopping the fire we think that both parties could agree on something much safer and better for the environment. "King Comrac Tryion stated that he would invest a piece of the Chacklean economy into pro-Environment operations to promote a much cleaner country. With all this news the Chacklean King stated that he would like to develop the new regions of Chackle and incourages his people to move into those regions as it will benifit all the people of Chackle making the country much less cramped. With the Chacklean military seeing a large increase the King announced that he would give his scientist permission to test a new nuclear weapon on a old 1975 Chacklean aircraft that is old and un-used. The king announced that this would make Chackle look much stronger and would promote a large nuclear silo for the safety of the people. The test site is 670 kilometers of the coast of Fyresk, the nuke is a very strong missile that could destroy any city in its path. Well all you sovereigns got your expansions. More land to construct your military toys, more environments for corporations to destroy, more area for your people to overpopulate and subjugate. I had a nice little expansion of my own as well. My influence has spread to Xolox now. Riots are springing up all over the peninsula, some from my own construction, to overthrow the great "Pretender" of Xolox. That idiot keeps armed security around with him at all times and hides in the shadows like rat, afraid of his own people and his own family. The URL in the top is a photo taken by a few of my comrades, the two men duct tapped up there are brothers who work at a car factory together. We kidnapped them and are being taken care of in a undisclosed location. I am testing the mettle of both David Michael "the Pretender" and Marilyn Jeane. We want one-hundred million dollars of eithers personal money in cash in 1 week. If we don't get the cash by next Saturday in a safe neutral location in, oh let's say Dalenkirk, Dunans than these two will be shot in the head on live on TV. This will tell the Loxian people who to fight for and who to fight against. Who cares more about the common good and who cares more about their bank account. The clock is ticking. PS.- you're next Reivaj. Weeks after the official departure of all Kittian military assets within the Chacklean region, concerns have been brewing over the increased Chacklean threat to the world itself. Chacklean aggression has once again become apparent as their threatening actions concerning nuclear weapons has heightened concerns within the Kittian government. The government is seriously considering sanctions and embargoes to be placed on the Chacklean nation. This move stems from their continued environmental destruction, authorization of nuclear testing within international waters, and insider sources speaking of unimaginable human rights violations. This issue was addressed in an address provided by President Nangusky. President Nangusky wrote: This nation has gone far too long unchecked. Their leadership is corrupt. Their people are suffering. They are destroying not only their environment, the international waters aswell. What those people don't realize is, is that nuclear fallout spreads. There's no reason for any nation to subject our planet to this type of abuse any longer. There's previous data readily available given previous tests. These Chacklean war-lords are looking for any possible way to step on our toes, and Kitt, the nation I know and love, will not stand idly by while such ridiculous actions are taking place. President Nangusky wrote: Yes, the Kittian government is alert on the Loxan issues. My administration is monitoring the situation as we speak allowing us to act quick and accordingly to the situation if it becomes out of control. President Nangusky wrote: This organization is here to bring instability. They want nothing more than gratification for barbaric actions. They are under watch. And my nation is not afraid to stomp out any organization that bases its existence on fear mongering. In a prompt update for the 2019 election, the Election Administration has stated that they are currently gathering candidates and information on them for all election positions. We recommend you stay tuned for 2019 Kittian Election news. The Kaisergarde of The Empire of Hassany has personally condemned the Democratic Union of Handenosaunee, calling the governing body "unrealistic" and "fake". In a interview with His Majesty (that he wishes not to be aired) he is concerned about how "11 different tribes with dozens of representatives can agree on important national issues unanimously absolutely every single time, is within the realm of fiction." He suspects fowl play. Not everyone in the Empire agrees though. The reason Hassany didn't officially condemned Handenosaunee is because the vote to nationally condemned was shot down. Around 3/4 of senators disagree with the Kaisergarde. Most people polled in Hassany's cities call Handenians "Saints" and "Some of the nicest people in the region". In other news government and business officials are spending millions in Marks increasing computer security to defend against the Hacktivist group called "Revealed". They have showed a impressive set of skills so far on their attacks. It's speculated that this is a large organization with professionals doing the broadcasting and henchmen taking care of business on the ground. Duke Jacob, Cousin of the Kaisergarde, has called the head spokesperson for Revealed," Just a crazy anarchist who hides his face under a gas mask." The newly coronated King of the Orthodox Empire of Chakle, Comrac Tryion has announced that he would be responding to the what he calls "threats" made my the President of The Unified States of The Republic of Kitt. He as well stated that it would do nothing to stop the considerable growing power that Chackle is creating. My Empire will do what it must! If we wish to test our nuclear weapons in a test city with test subjects then we will! Of course, I am not stating that I, The Honorable King Cormac Tryion would like to but, if President Nangusky doesn't want my Empire testing it in the ocean then I ask him, where else? He is being melodramatic! It is only water, there is a lot of it frankly. I can assure the government of Kitt and the Nations of the world that the effects will be nearly silent. With such a bold statement giving by King Cormac, some think that the King raises a point, while others such as scientist and experts who have considerable knowledge on the subject state that it is completely insane. Nearly 67% of Chackle's population don't think that climate change is real, while 20% do believe that it is a factual event that is taking place in our modern world, the rest are uncertain. The High Admiralty and the Imperial Science Commission celebrated this week the successful launch of the RSS Almirante Pectovic Papurru, the last of the six latest generations of nuclear-powered ice breakers. 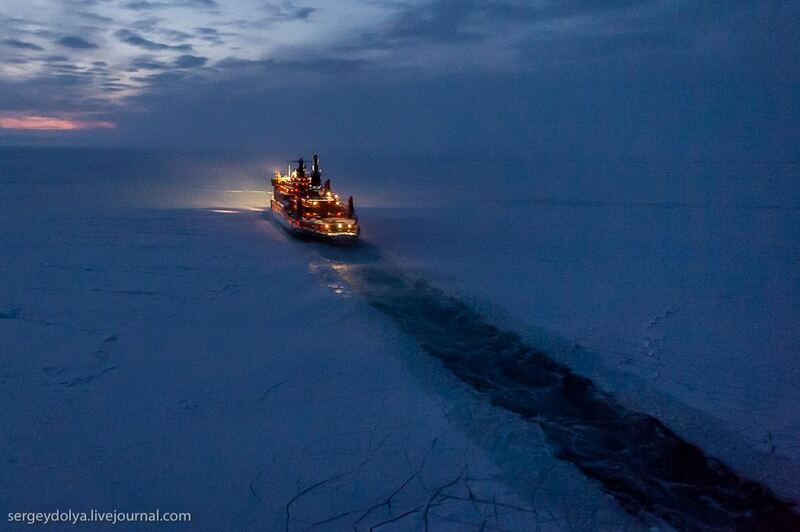 The ship has quickly set from the St. Ursula shipyards to northern waters, where it will reaffirm if capabilities by breaking through polar ice in the middle of winter, a testament of the might of Rommanda and commitment towards its scientific and exploration goals on the 21st century. Not long ago it was announced that the air force was not successfully conducting lengthy patrols over polar airspace, on the 100th anniversary of the first trans-polar flight by the RAF. These aircraft will monitor the progress of the ice breakers and their peaceful mission. The High Chancellery and Imperial Science Commission have announced the success of negotiations with Handenosaunee to build a new science facility on the Inukjuak region of the island nation. Reflecting its peaceful nature the facility will be built following strict guidelines of environmental protection and the staff will receive rigorous training by the department of anthropology and culture of the Central University of Greater Parusia as well as courses on ethics and sustainable diplomacy from the Imperial College. Academics from Handenosaunee have been invited by these institutions to achieve a higher level of success with these efforts. The Inukjuak Science and Research station is planned to support six research wings, out of which the fist four will study topics ranging from meteorology, environmental sciences, biology and advanced medical therapy for the correction of disabilities by chronic and degenerative diseases and extraordinary conditions, the remaining two may be purposed for anthropological studies and a didactic learning center. Chackle has recently issued a report declaring all the water in there water table has became to toxic for human consumption. Due to this King Comrac and Kaisergarde Charles have struck a deal on transporting water throughout the country. "Hassany has plenty of fresh river and lake water to share." Says Cheif Director of the operation Jakob Shuert. "We will sail fully loaded freighters with bottles of water up through the Kesvic River to Caledonia. Once we make sure that everyone in Caledonia have suitable amount of water we will set up dozens of water depos in all major cities. These depos will have armored trucks travel all across the nation and sell water to all Chackleans for .99 cents." The Chacklean military promised to have around the clock armed escorts for the water caravans and supply depos along with the promise to construct a large water purifier in Caledonia along the Kesvic River. People of our glorious nation, and the people on the streets tonight listening to my broadcast, I would like to announced that our nuclear testing of the G-VR 55 has gone successfully and we plan on making these for the safety of the Chacklean people, now don't worry about us using any of these bombs because it all 5 of of them together would destroy the planet. The Chacklean people have lots to cheer about, but this is big and makes Chackle much stronger, we've invested nearly 30 trillion dollars into this 10 year long project and are not planning to stop anytime soon as we want to make our country much stronger and prosperous. The country is in a crisis that could permanently scar the nation for the rest of its existence due to its abuse of the Great Chacklean Water Table, the water table is to far gone and if we want to save it we must work together, as a nation, and stop factories from dumping into lakes that lead to the underground reservoir. We must stop the planet from heating up, and we must acknowledge climate change. With not many options in my book, I have nothing to say, but this, We need to clean up our problems, make our country cleaner for the future generation that will inhabit this nation of glory! The Great Chacklean water table is infected with radioactive contents that were berried into it, and other discussing pollutants. We as a human race must face the challenges that make us great, but in the mean time shows that we could fix our problems and prevent future problems by reducing Co2 emissions and reducing factory dumping. I know, it'll be costly, and our nation is already in a 432 trillion dollar debt, but as always, the Chacklean people will fix its problems, we aren't losing the war on clean water, we will make our nation's water clean again, and we will stop the problem before it becomes too far fetched. With this news I declare the Chacklean water table closed for consumption for the next 2 months before it starts becoming cleaner. Following the public announcement of new trials at the arctic seas by nuclear-powered ice breakers commissioned by the Imperial Science Commission but attached to the High Admiralty under a: “To be employed as emergency or necessity dictates” criteria. 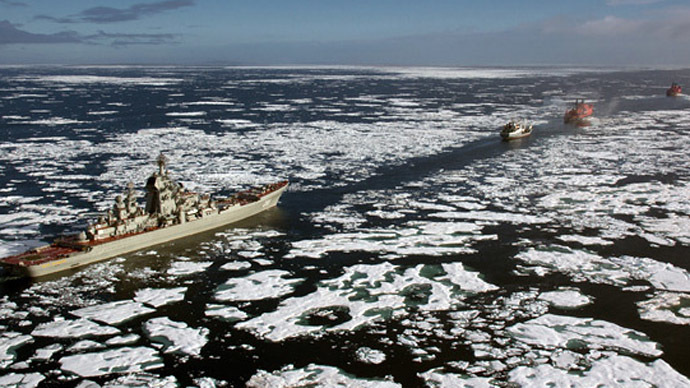 The international intelligence community has pointed out the presence of capital ships from the Rommandan Imperial Navy closely following the paths opened with ease by the new icebreakers, aside from the previously mentioned presence of the RAF on northern skies.